For all the hype that mother's intuition gets, you'd think it'd be easier to figure out. But many parents struggle to know if they're really listening to their gut and if what their gut is saying makes sense. 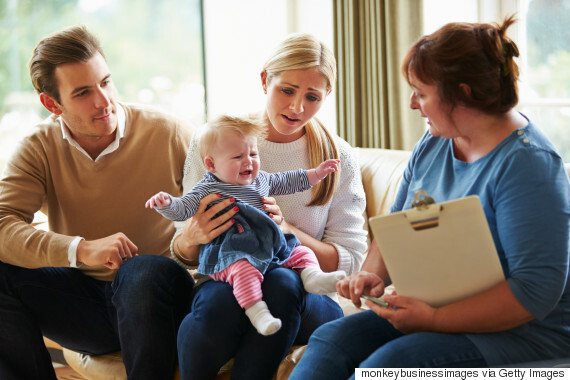 It turns out there are actually two potential forces at work when it comes to intuitive parenting, according to Psychology Today. Maternal instinct implies a basis in biology and provides that innate knowledge of how to parent. But there's no evidence that a universal maternal instinct exists or would even be useful, Elaine Kennedy-Moore writes. But mother's intuition, though based in holistic judgments, has research to back it up. This is what parents hope to tap into: that clear, unconscious sense that something is wrong (or right). Fortunately, you can work at improving your parental intuition — and learn to trust it more often. Read on for eight ways to practice your intuition muscle. You're the expert: Nobody knows your child better than you do. Kennedy-Moore points out that workers like police officers and nurses learn to assess situations quickly based on past experience. You do the same with your child. 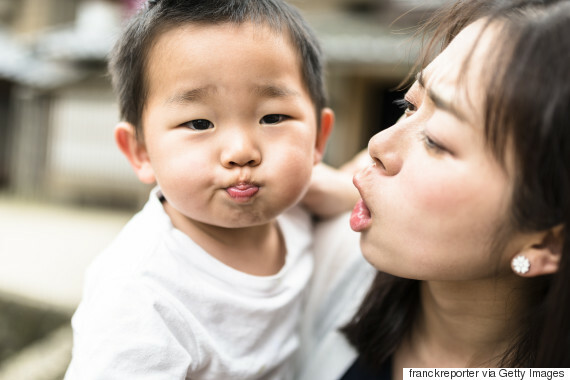 Shed the "shoulds": Part of tuning into your own parenting instincts comes from letting go of what you think other people expect of you, says parent coach Elaine Taylor-Klaus. "To let go of everyone else’s expectations for your behaviour as a parent, you can start by getting clear about what’s important to you,” Taylor-Klaus says. "What are your values? What do you want for your kids?" Read the cues and clues: All of us have experience in reading social cues like body language and tone of voice in order to figure out what's going on with someone behind simply what they're saying. These skills come in handy with your kids, too. Next time you feel like something isn't clear, tune into the other signs he or she is sending you. Mind your morals: Some things might feel wrong for you as a parent because they're wrong specifically for you. Kennedy-Moore says this moral intuition kicks in when you just feel wrong about something, even when you aren't sure exactly why. Think of the future: Think about how you want your relationship with your kids to look, Taylor-Klaus says — not just now, but years from now. "When you take the time to paint a vision for what you want for yourself and your family, you will begin to be guided by your vision,” she says. Be selective about advice: Parenting advice from good friends and thoughtful relatives can be a hassle. But the bad advice can quickly get overwhelming, and it seems like we're all surrounded by it these days. Only listen to advice from people you trust and tune out the rest. Accept there will be mistakes:Dr. Benjamin Spock, parenting expert and author of Dr. Spock's Baby and Child Care, wrote that research shows that as there's more research on what parents should do, it becomes more clear that there are no easy answers. Parents should realize that a few mistakes that come from a real place aren't going to ruin your entire parenting history. Get authentic: If you have trouble trusting your ideas about the kind of parent you should be, take some time to think about whether or not those ideas are really true to what’s important for you and your family. "If you’re operating based on what everyone else thinks you should be saying or doing, it’s not coming from you — it’s inauthentic, and that can be really difficult to trust,” Taylor-Klaus says. If something you think you ought to be doing is hard to get on board with, investigate why that is. The problem might not be that you can’t get it together, but that it’s not right for your family. "When you’re basing your decisions on your own values, that is a whole lot easier to lean into,” she says.